We are among the most awarded roofing contractors in the nation. The recognition for our efforts in providing the best roofing services is truly an honor. RAMCON is one of only a select few Firestone Master Contractors in the State of Florida. The award is presented annually and RAMCON has consecutively received the designation since 2005. It recognizes our long-term commitment to quality and outstanding workmanship. The JM Summit Club Award honors a selected group of contractors that are focused on meeting the needs of building owners, providing excellent installation, and quality. RAMCON is one of only 30 winners in the world! Membership in the Pinnacle Council is reserved for top roofing contractors who meet and exceeds standards of commitment, performance, and professionalism. GAF's Master Select contractor award recognizes those who excel in superior installation, protection, "worry-free" "hassle free" warranties and safety. Entry into this club is reserved for the top 30 contractors of the year. RAMCON is a continuous recipient of the President Club award. It recognizes contractors who significantly exceed the minimum points needed to qualify for the Master Contractor Award. 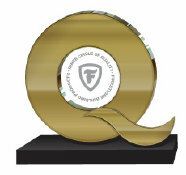 The Firestone Inner Circle of Quality Award is one of the most prestigious honors in the commercial roofing industry, awarded to contractors who maintain excellent quality inspection ratings. RAMCON received the GAF President's Club award as a demonstration of our commitment to performance, reliability, and service.